Watsonville, CA - California Governor Brown has appointment two new members and reappointed a third to the Santa Cruz County Fair Board. The new appointees are Don Dietrich, 54, of Scotts Valley and Stephanie Fontana, 28, of Watsonville. Reappointed is Frank “Bruce” Oneto, 88, of Boulder Creek. Dietrich is currently a heavy equipment operator at Operating Engineers Local Union 3 and served in the past as a Santa Cruz County Deputy Sheriff. Fontana is a 4-H program representative for the University of California Cooperative Extension Services in both Santa Cruz and San Benito Counties. She was a teacher at the Kinder Cottage Children’s Center from 2006 to 2010. In his long work history Oneto was a water treatment operator and manager at the Park Mutual Water Company as well as practiced law starting in 1956. He was first appointed to the Fair board in 2001. Dietrich and Fontana replace outgoing board members Patrice Edwards and Robert Marani whose terms had expired. They are both thanked for their devoted service to the Fair. The Santa Cruz County Fair celebrates the rich agricultural history of our community and people, and invests heavily in bringing this heritage to our youth. The 2012 Fair will be held September 11 - 16 at the Fairgrounds located on Highway 152 just east of Watsonville. 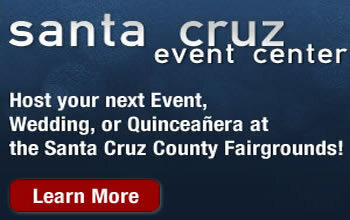 Information on the Fair, and the Fairgrounds - a year round entertainment and event venue, can be found at www.santacruzcountyfair.com.